ScamCoins- Clearly coins that have been created to scam you out of your money. There are quite a few of them already and the list will continue to grow. There are a few characteristics that scamcoins will typically have. The Anatomy of a Scamcoin lists these characteristics. Some of the coins listed below are already long gone and out of commission. This is a compiled list of many lists I’ve found on the internet, so I don’t take credit for the evidence or accusations. Sources are sited at the bottom of the page. Special thanks to the creators and to those who contributed in those posts. CoinMarketCap.Com– A website that lists all the cryptocurrency markets that meet a list of 3 criteria in order to get listed. The three criteria are: Must be a CryptoCurrency, must be traded on a public exchange that is older than 30 days and with an API available, and must have a public URL that displays the total supply (total mined so far). While some coins don’t exactly uphold to these criteria, the main question is Why is coinmarketcap listing scamcoins? Is the evidence people bring forth not enough? The only positive that comes from these scamcoins being listed on coinmarketcap is we get to see how much money is being dumped into nothing. So if you’re going to invest in these scamcoins, please send your money to me instead or donate it as it will go towards a much better cause. Some coins listed in green may not be scams. Is your project on this list? I’d love to hear from you. Premined- Coins that were mined by developers or maybe even insiders before the public launch of the coin. This type of action is full of suspicion, however there do seem to be some legitimate coins that have been premined. Some of the pre-mined coins on this list don’t elaborate as to why they’ve been tagged as scamcoins just by being premined. These details will be updated here once found. It is a touchy subject as to the claims of any premined coin is a scam, so those listed are listed loosely and mostly because they are in the scamcoin thread. Superblocks– Blocks that when solved, reward the miners with a ridiculous amount of coins in comparison to any other “regular” block, thus giving early supporters a massive benefit if the coin succeeds. This is certainly unethical. IPO- An Initial Public Offering. The first sale of stock by a company to the public. A company can raise money by issuing either debt or equity. If the company has never issued equity to the public, it’s known as an IPO. Companies fall into two broad categories: private and public. The fact that this has made it into cryptocurrency is ridiculous and one should consider most if not all IPO AltCoins as scams. AmericanCoin (AMC): Pre-mined with 6.5k-14k blocks giving zero reward. Bitbar (BTB): Premined by small group of coin creators. 2000 coins mined during first three hours. Two months after launch, this amount still represented 50% of all coins in existence. Bitnote: Premine Unknown. Problems with the Windows-qt client. No support or imagination. CatCoin: One meme too many. Broken launch. Vanilla litecoin clone. Cloudcoin (CDC): 1,000,000 premined, random blocks. Coinye: Claimed fair launch, turned out to be premined, at just minutes after launch it was already on block 2,000. The name should say enough and was not supported by Kanye West. DimeCoin: Premined 8% of 460 billion coins. Ducats: Premine? “No” — Someone go check the block explorer oh wait they don’t have ONE! EzCoin: Aged coin with no relevant services or community to speak of. FastCoin: Unsustainable parameters chosen. Exceptionally poor logo design. FeatherCoin: 3 Million coins generated within the first 24 hours. GameCoin: Initial client released with a feathercoin logo, and FTC as the currency abbreviation. GoldCoin (GLD): Premining history. 2000% superblocks at start (3.2% instamine) causing massive amounts of coins to be generated during the first few hours. Hardforked. InternetPeso: This is not even a coin, just QR code branded as tangible currency with user-generated value. JunkCoin: Name speaks for itself. LuckyCoin (LKY): Superblocks at start followed by random superblocks. MarioBrosCoin: First Coinye and then Mario. MegaCoin: 50% of all coins will be generated during the first 5 months. The rest will be generated over the next couple of decades. Initial client released using same ports as Litecoin. Developer refused to admit this was a problem for weeks until he caved and issued a patch. Mincoin (MNC): Started with no binaries and 25000% reward blocks. 868k coins were mined during the first three hours. Two months after launch, this amount still represented 75% of all coins in existence. No GUI client provided for weeks after release. NovaCoin: Premined. Total shares: 504,839 NVC, price at $21.48 a share ! Rumors has it the creators mined most of the coin and hold about 90% shares. OilCoin: Dev Quote “HAVING ISSUES WITH THE CODE TRY TO GET IT SOLVED! PROJECT OILCOIN IS ON HOLD DUE TO LACK OF CODING BY NOW. Pennies (CENT): “Released” via an obscure website days before a bitcointalk forum post was made. Hidden Launch. PhoenixCoin (PXC): Massive Pre-Mine of 1,000,000 coins with poor explanation given. Ripple: Tokens/money without mining, centralized system. It goes against the ideas of most cryptocurrencies stood for. ScamCoin: Obvious name. No website. No launch day ready. Emptied promises. StableCoin: 1,200,000 Premined. The coin that is unstable. Dev disappeared a few months, promised mixing service, and while waiting for the update, larger holders dumped and flooded the market and tanked the price. TEXT: More IPO for next-generation https://bitcointalk.org/index.php?topic=409655.0 . Seems like all next-generation coins are e-begging. VisaCoin: Barring legal threat from the real Visa company, It is pre-sale nearly 80BTC with outlandish claims and nonexistence source codes. ZenithCoin: 50% of all block rewards goes to developer, with no explanation given. Keep yourself in the loop and up to speed with Coin Pursuit. BadBitcoin A really nice scam alert site. They’ve done a fine job and work hard! Bong Bitcoin Useful information about brain wallets, mining, creating a vanity wallet address & more. LocalBuy.Me Buy, Sell, Trade and browse listings in your area! *Prelaunch Phase Sign up now to receive 10 free credits!!! 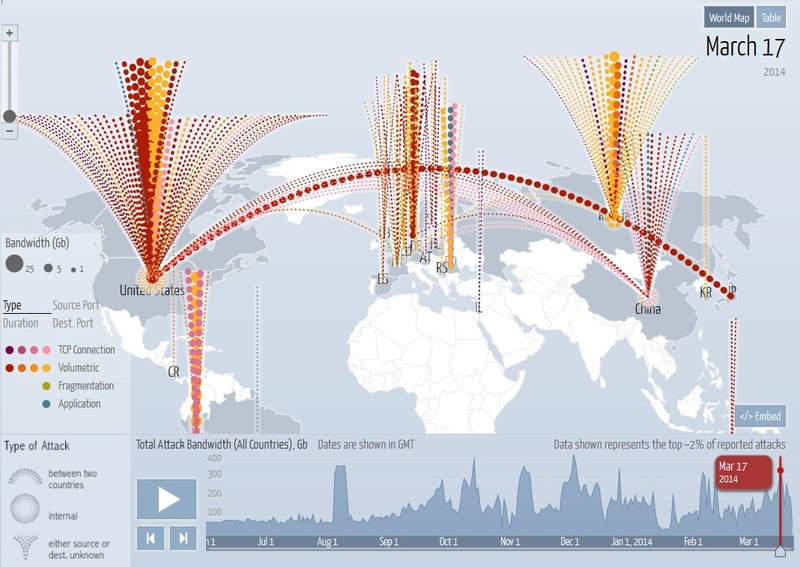 If you think Bitcoin is the only ‘internet based entity’ being bombarded with DDoS attacks, think again!